There are lots of pictures already up from Fr Brown at Forest Murmers (there's also some commentary from our Leeds Representative, who was there; I took these during the last two days, when I was there. 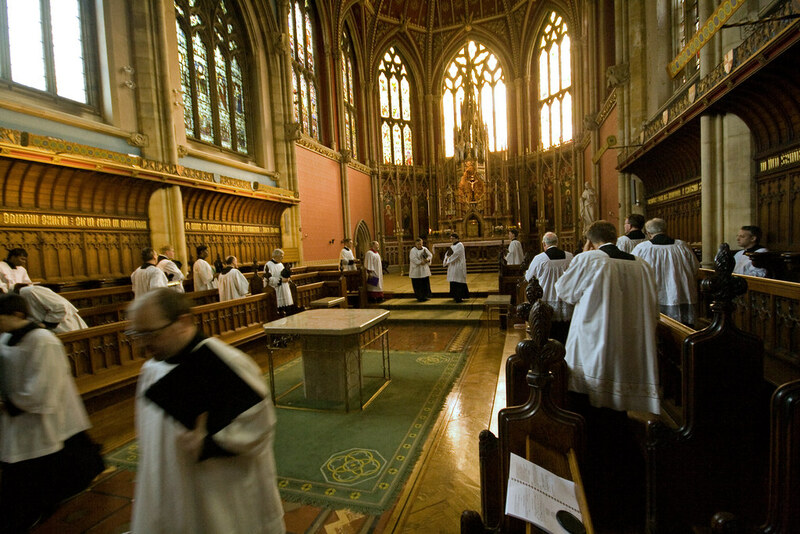 You don't have to be an archaeologist to see what kind of liturgy Ushaw was built for. The first thing I was able to attend was Vespers and Benediction on Thursday - notice the enormous monstrance on its throne above the High Altar in St Cuthbert's Chapel, where the crucifix normally stands. 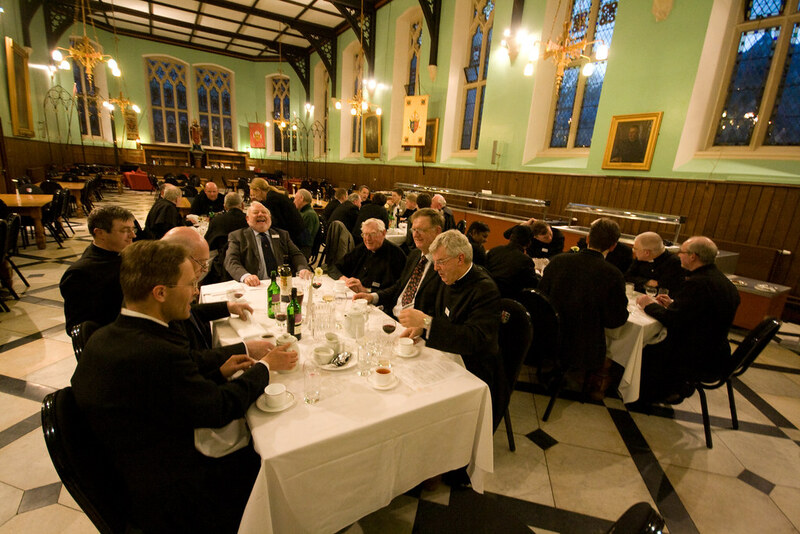 This was followed by the Conference Dinner, at which we had speeches, including a very interesting reminiscence from Fr Elkin, who had attended Ushaw as a boy and a seminarian in the 1950s. He told us the place was infested with rats, so not all the changes since then have been negative! The junior seminary has long gone, and instead of 400 students they now have a total of 24 seminarians. Fr Elkin, who has been a long-term supporter of the Traditional Mass, summed up by saying that 'our future lies in the past'. He got a standing ovation. Early the next morning the priests were saying their private Masses, which is always a wonderful thing to see, on the numerous tiny chapels intended for this purpose but little used since the liturgical reform. These chapels are exquisite. This one below was unusable last year, because it was being used to store a drum kit. 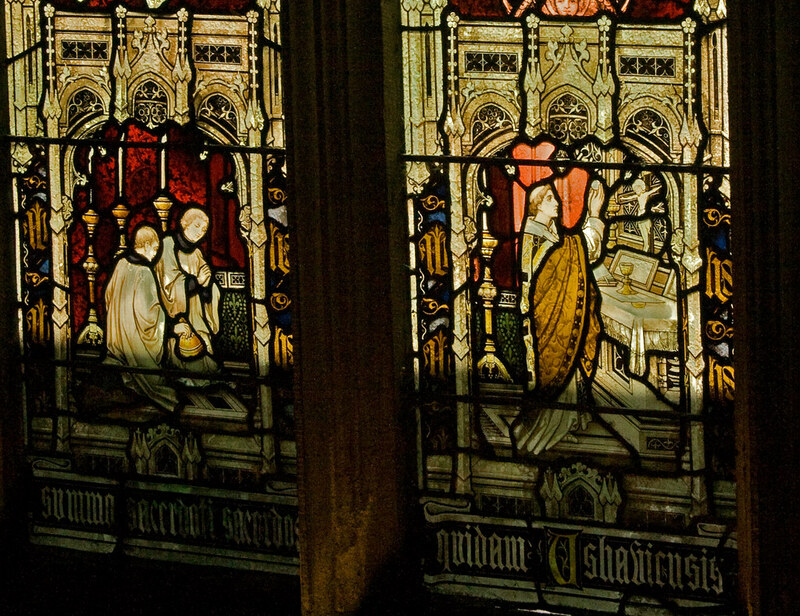 This was followed by Lauds, which was supported by a liturgical schola led by Mike Forbester. The size of the chapel means that you need a good number of singers for it to work well. This was followed by an open forum for discussion of how the conferences should be developed. 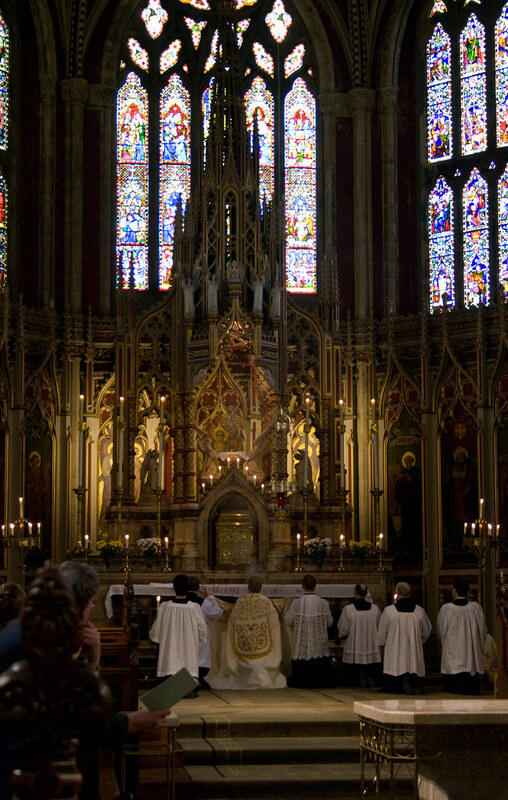 From this, and from other conversations, it was very evident how much the conferences are apreciated both for the knowledge of the Traditional Mass they impart but also for the social aspect. 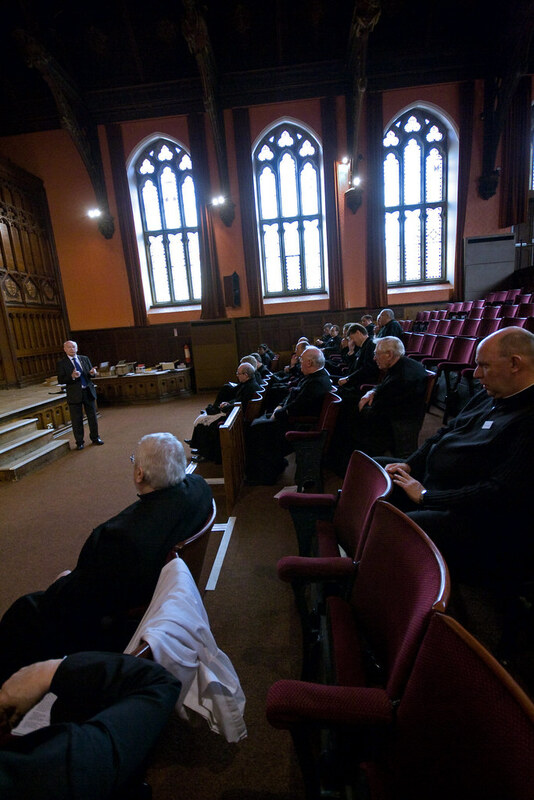 They are a great boost to morale for the priests, who often feel rather isolated in their dioceses, but through the conferences and similar events (such as Fr de Malleray's retreats for priests) are establishing a network of like-minded priests. 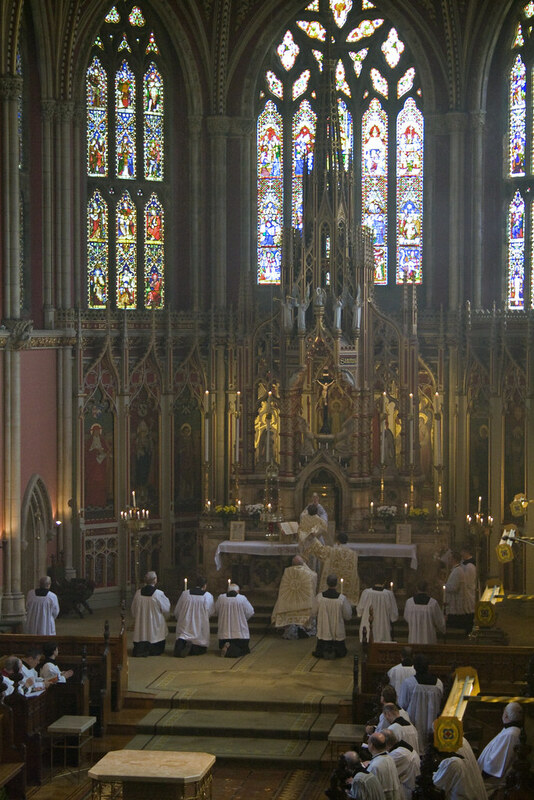 Several reiterated the point made, about the London Colney Conference last autumn by the Catholic Herald's 'Pastor Iuventus', that meeting other traditionally-minded priests at these events shatters the negative stereotype which was fixed in their minds - the other priests interested in the Old Mass are not weirdos, fanatics, political extremists or liturgical obsessives. They are perfectly normal and sane. Clearly, as this fact gradually gets out, more priests will be inclined to attend. 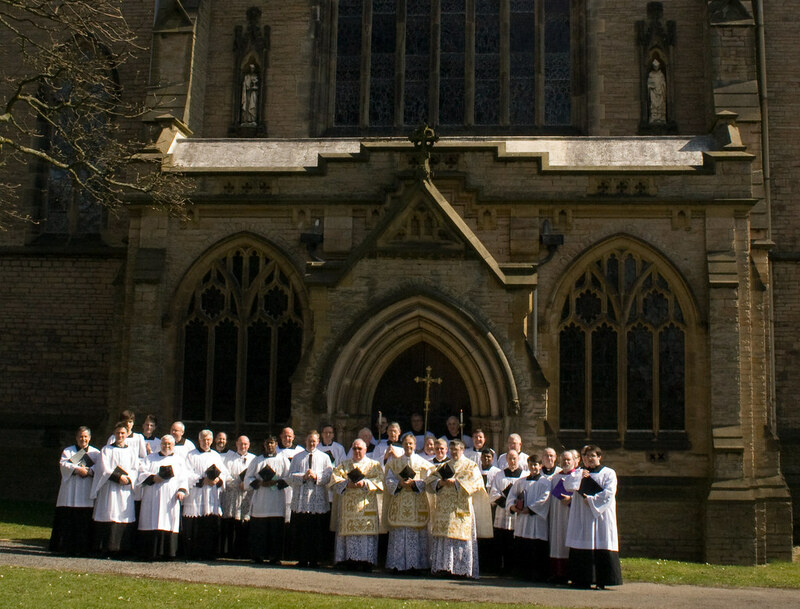 This was followed by a splendid Solemn Mass, a votive Mass in honour of the Patron of Ushaw, the great St Cuthbert, which was accompanied by both a liturgical schola and polyphonic choir. It became harder to get good photos from the loft where I was stationed, as the sanctuary filled with ever-denser incense! The priests taught at this conference go out into the world - into their parishes across England and Wales, in some cases into Scotland. 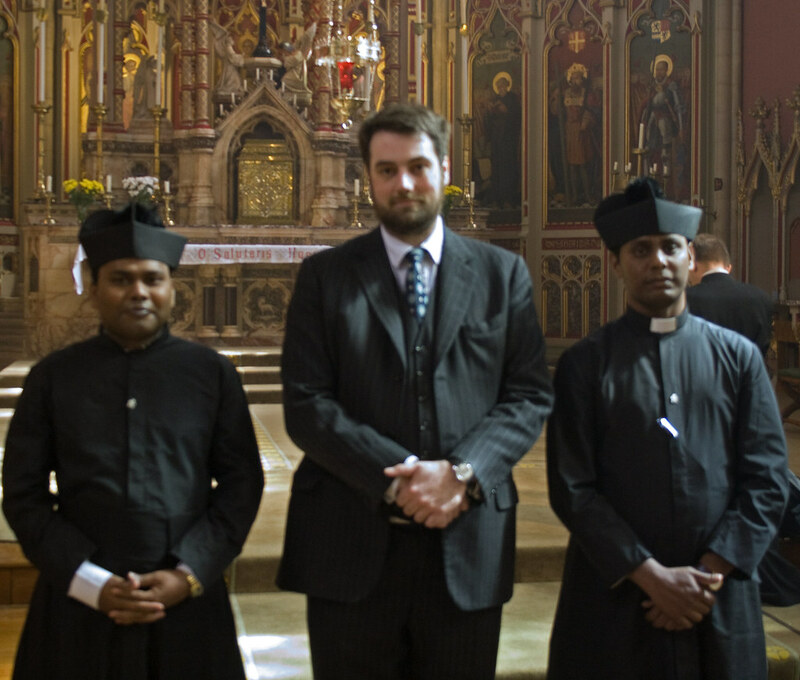 We also had a delightful South African priest, and two charming young priests were sent to us personally by Archbishop Ranjith of Columbo, Sri Lanka - better known from his days at the Congregation for Divine Worship in Rome. Archbishop Ranjith sent us, by them, a very thoughtful letter of support and encouragment, which was read out at the Conference Dinner. 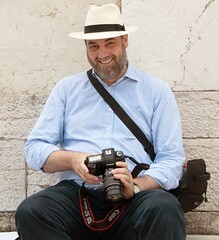 These Conferences are always inspiring occasions, and this was no exception. 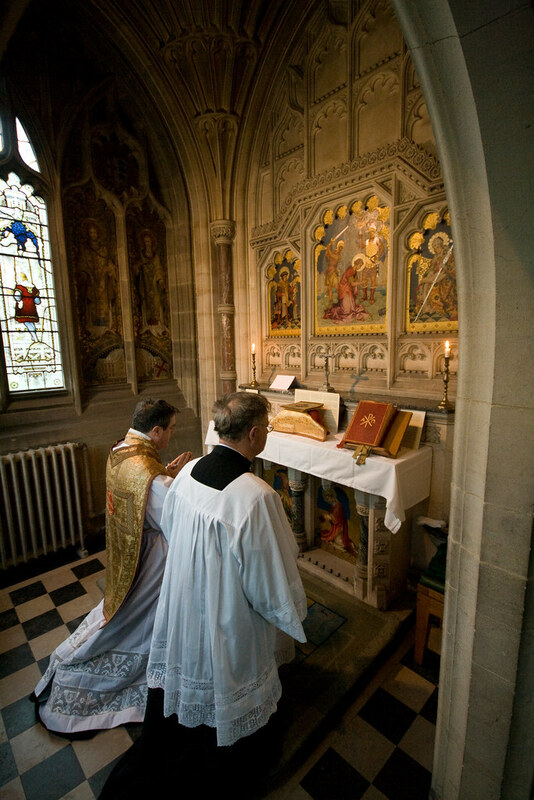 It is truly wonderful to think of the 75 priests now saying the Traditional Mass thanks to previous conferences; as time goes on these will have an exponential effect, as they influence, and even train, other priests in their areas, young men interested in the priesthood, and the faithful. The fruits of the Motu Proprio are there to see. Slideshow of my photos here; see the set here.